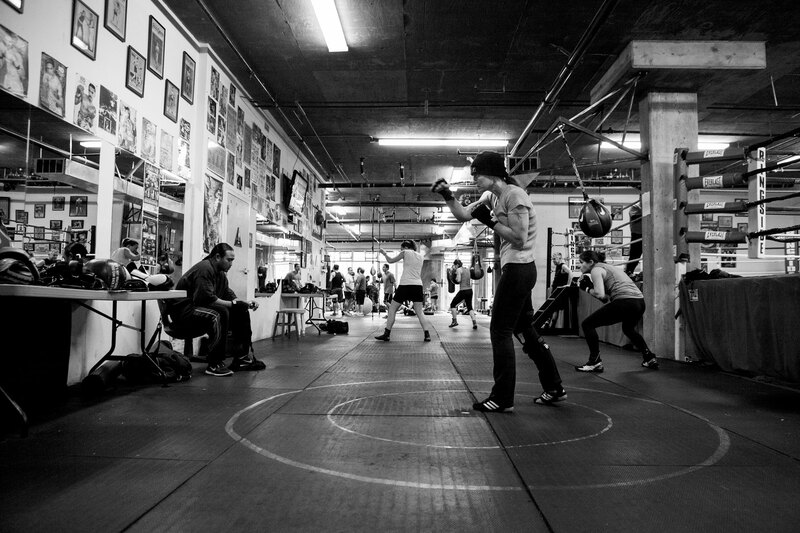 Laura warms up at the 3rd Street Boxing Gym before preparing to train for her upcoming fight. The gym has fitness classes throughout the day, some of which Laura teaches. She started in those classes before deciding to actually box herself.